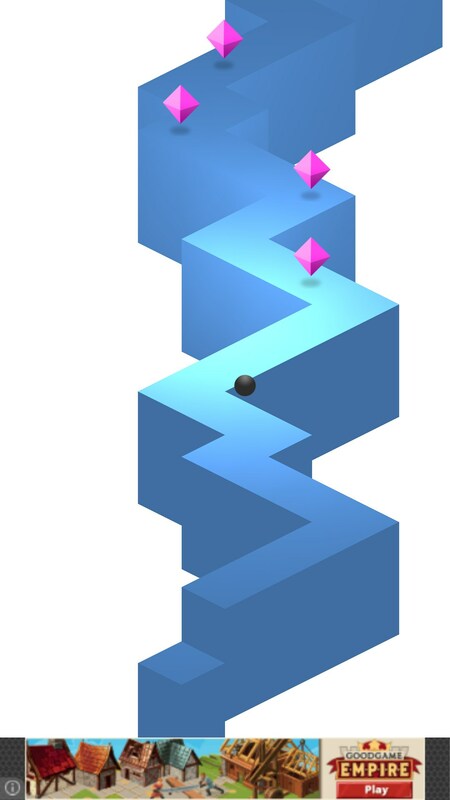 ZigZag – Games for Android 2018 – Free download. 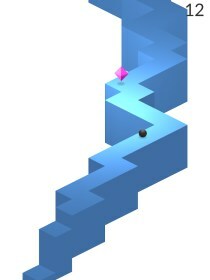 ZigZag – Challenging and charming timekiller. 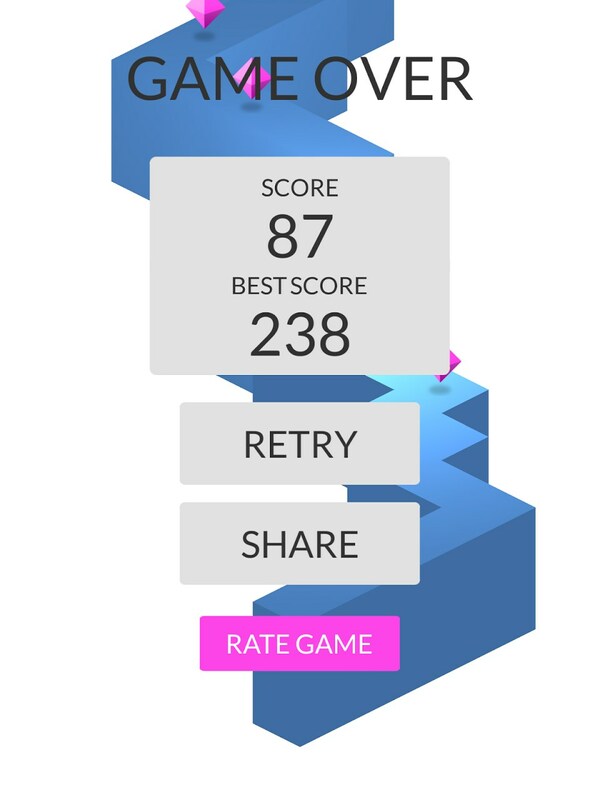 ZigZag for Android is a difficult arcade game that allows players with good timing and guesswork to score high. 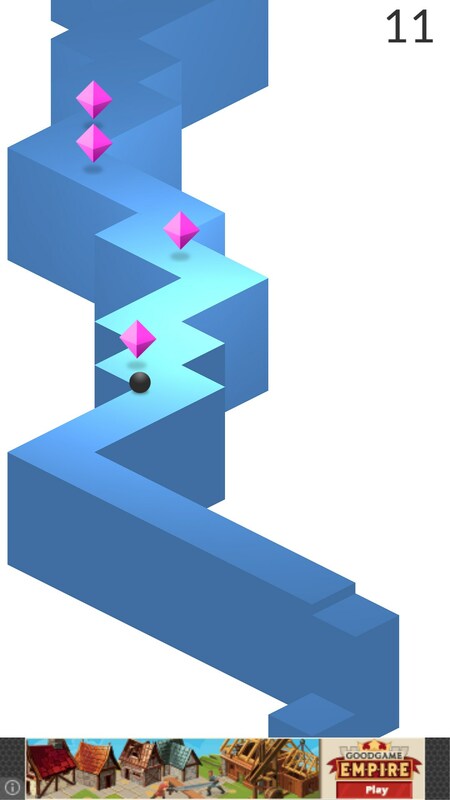 In this game, you must roll a ball down a course that is constantly zigzagging in different directions. 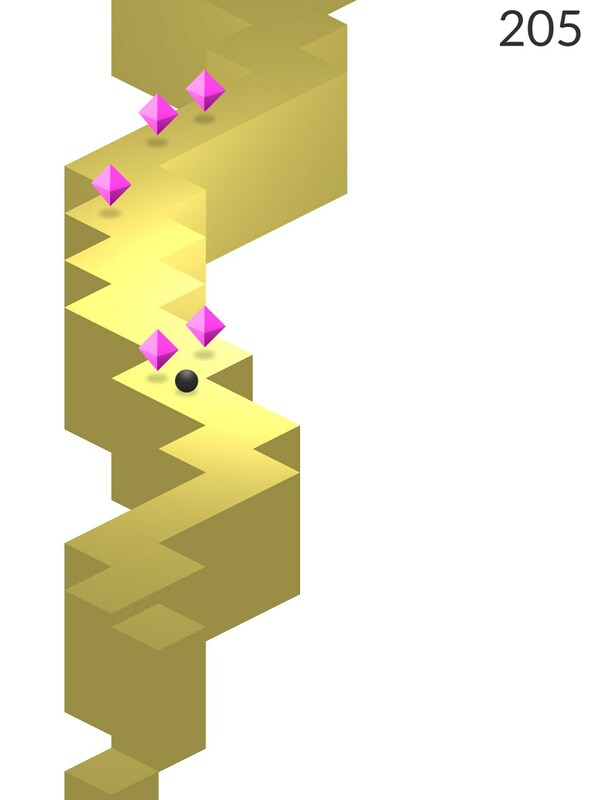 The aim of this game is to stay on the course for as long as possible without falling off. You can earn points by picking up small items spread throughout the course, and these points can be collected and spent later on. 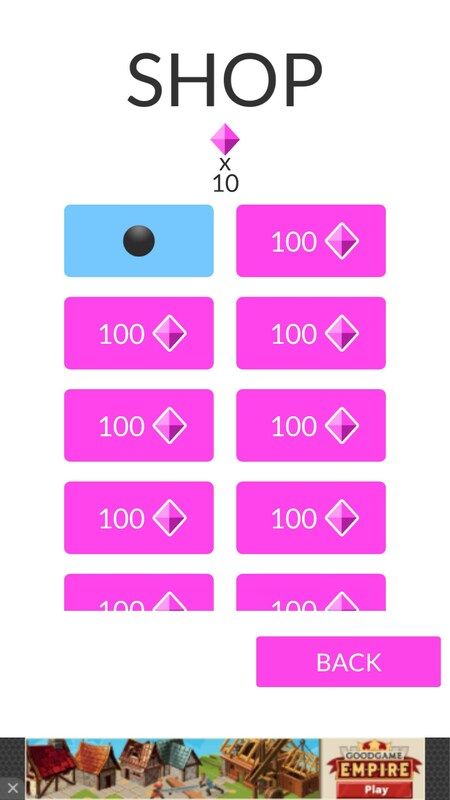 To control your ball, all you need to do is tap the screen to change the direction the ball is turning. 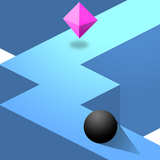 In theme with the name of the game, the ball will zig zag when you tap to change direction, and you will need to time taps carefully. The layout of the course is randomly generated, so you’ll really have to think ahead about how to direct the ball through the course. If you tap too early, you’ll find that you’ll enter part of the course too close to the edge, and this will usually make you fall off. Whilst the concept of this game is incredibly simple and arcade-like, a lot of effort has gone into making sure it feels like a completely polished game. The graphics are very basic, but they work wonders. The same can be said for the great in-game sound effects. Timekiller games like this usually get a bad name for themselves, usually because of the tactics some developers use to throw adverts in your face at any passing moment. However, there is a large difference between a timekiller game like this, which has been developed with care, and a more shoddily put together timekiller created to pull in ad revenue as easily as possible. ZigZag is free to play, but players can use in-app purchases to remove adverts, which sometimes pop up after the end of a run.